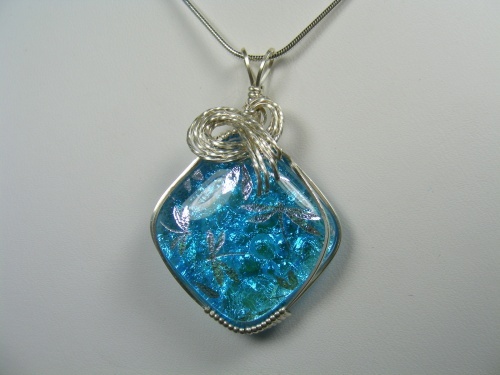 This ever so pretty aqua colored handmade dichroic glass has whimsical little dragonflies fluttering on it. Dragonflies are fused in the glass so they wont wear off. Sculpted with sterling silver curls. Piece measures 1 3/4" by 1" and comes with a sterling silver snake chain.